Since I can't read much of the box, I have to rely on the images to figure out what kind of candy this might be. 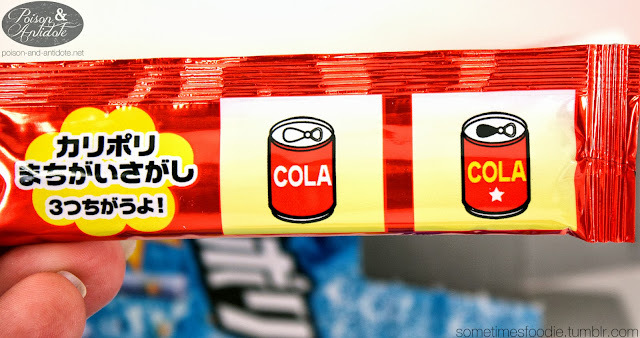 Right off the bat the easiest thing to understand is the flavors, seeing as they are in English and all the images relate to soda, I can safely assume that this is some kind of cola and ramune flavored candy. After that, things get a little fuzzy. 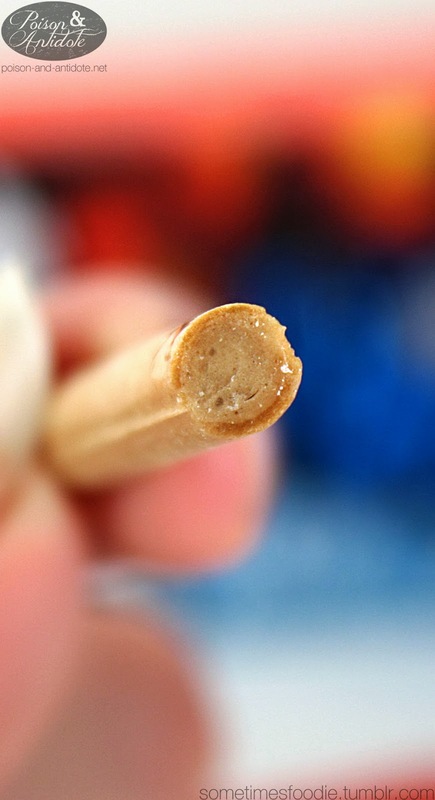 The image on the packaging looks like some kind of biscuit stick, similar to Pocky, but these might just be solid candy. 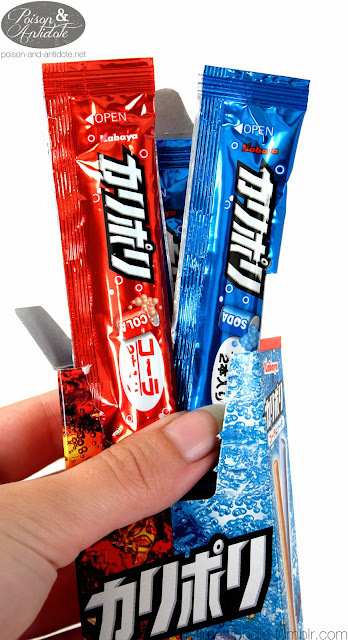 I also think that this might be a fizzy candy. 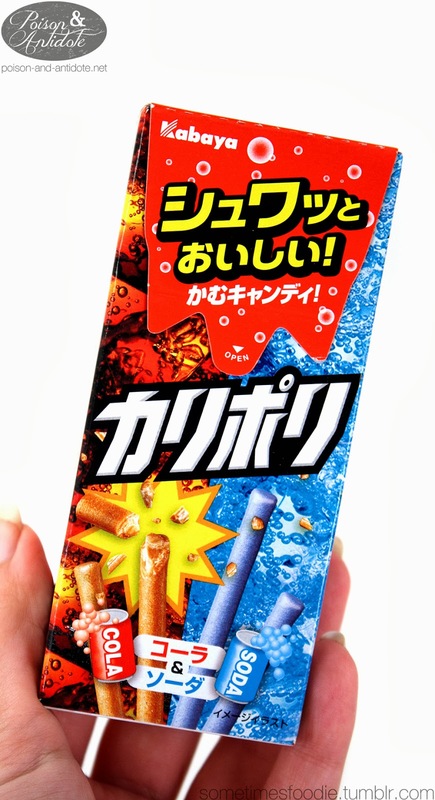 (Since the cola cans are bubbling over and most soda related candies use some kind of fizzy add in.) I think my guesses are spot on, but I'll just have to open it up to find out for sure. Today we'll focus on the cola candy and it's wrappers. As far as taste, these taste just like Haribo soda bottles. So, is this a fizzy candy? Maybe. There is a slightly fizzy texture that comes from citric acid, but the fizz-aspect is pretty weak. 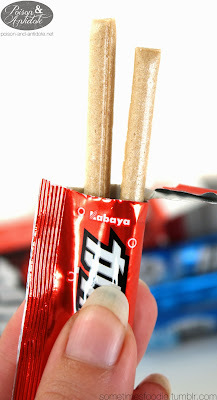 Overall I really liked this candy. 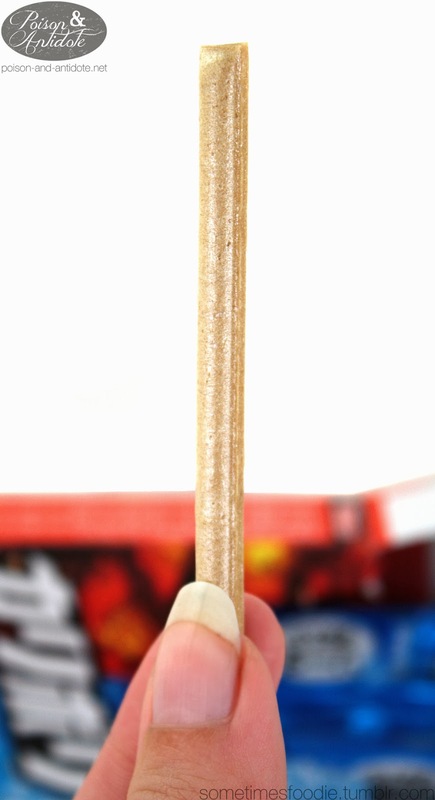 The texture was interesting, the little games are fun, and these tiny sticks pack some pretty strong cola flavoring. 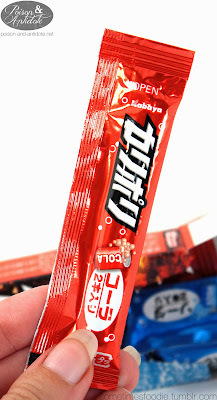 If you like Haribo's cola candies, definitely give these a try. I am guessing it it a letter or character related game, but it might not translate well with the characters changed to English. 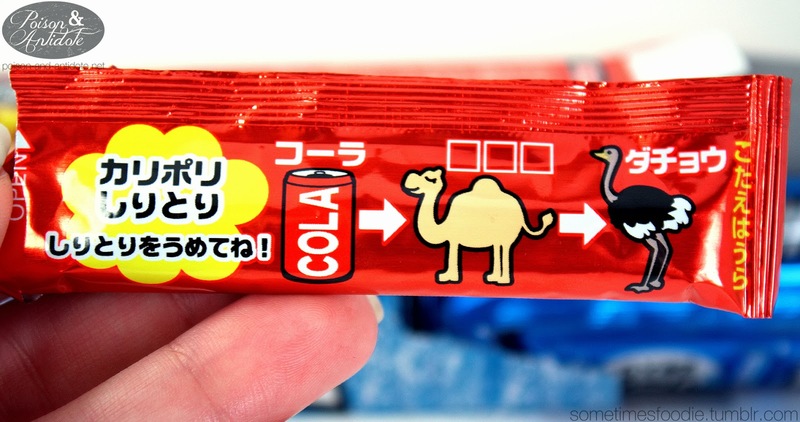 COLA -> CAMEL -> OSTRICH? Spot the differences! THIS one I get. Another one that I don't quite understand. 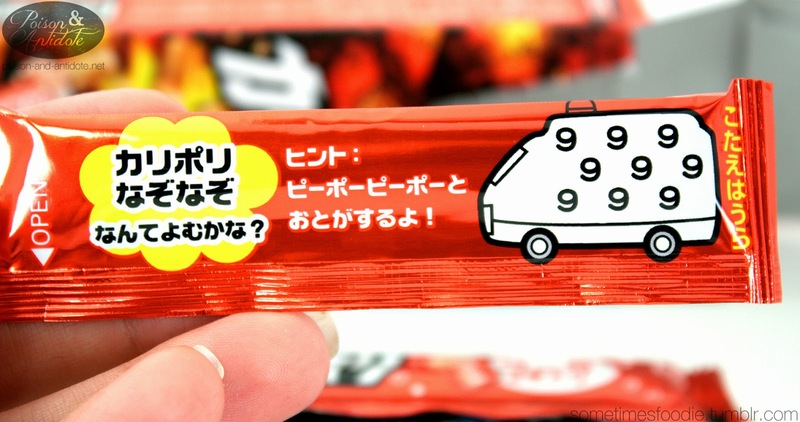 Can anyone translate?